The early days of digital marketing were definitely not abundant in terms of tools. If we take a step back, we’ll remember that Facebook was nowhere near its current popularity as a business and advertising platform, the digital newsletters were ugly and awkward and very few products offered any kind of in-depth analysis. Marketing, however, was around for over 100 years when the digital world started to develop. You might be surprised to hear (I sure was) that the first commercial magazine started publishing in the early 1700’s – it was called “The Gentleman’s magazine”. General Electrics made a comic book in the 60s which suspiciously looks like a branding device. Advertising literally exploded in the last century – mail, TV, radio, billboards, pamphlets, printed ads and so on. So when the creation of digital marketing tools started booming a decade ago, it was a nice (though unsurprising), turn of events. What people might not have expected, is that this market would explode like many others, and become extremely difficult to make a choice due to the sheer volume of options. The development of professional software got so crazy, you may spend weeks just searching and getting drowned in reviews, articles and opinion pieces. Of course, you could always turn to a professional service like ourselves for website maintenance and support, but if you are kind of a do-it-yourself person, you have to be ready to spend some serious time online. I remember carrying out research in 2010 - it took me a couple of hours to find what I wanted, which was a new keyword tool. Today I'd spend days, sometimes even weeks before choosing a product, not to mention that sometimes you don’t even know what you’re searching for. So my mission today is to present some tools and our opinion on them - which can be very useful when it comes to boosting your marketing productivity, especially as a small to medium business owner. Whilst the GetResponse concept isn’t unique, the tool has developed amazingly in the last couple of years, and it’s definitely worth a visit. Not only does it contain a complete email marketing solution, but the automation section is really user-friendly and has clear, easy to build workflows. If you’ve never heard of marketing automation, it’s time to jump on the bandwagon. In short, automation follows an ‘if-then’ logic, essentially taking the simple or regularly-occurring task out of your hands. A simple example could be a Welcome email series - let’s say someone signs up for your newsletter and you want to keep them engaged. You create a 7-day email course and instead of manually triggering the sending these emails each day, the workflow will follow the logic. For example; ‘if someone signs up, send them an email each day for seven days’. Another good use for this type of tool is the ‘Abandoned cart’ option which allows you to take specific actions whenever your customers add something to their cart and then don’t purchase an item. GetResponse is getting ahead in this game by providing a minimalistic visual tool to build your conditional logic. It has templates as well, which are great for people who haven’t worked with this kind of marketing software before. GetResponse has great looking templates (all responsive of course), autoresponders and a good A/B testing option. You have to remember that the marketing automation tool is a great way to create a smooth sales funnel, so don’t be afraid to experiment. I read online about somebody complaining that their MA is too “simple” and limited, but this isn’t really a flaw in my opinion. It is indeed simple to use (it appears that they just tried to make it more user-friendly with the drag-and-drop experience), yet the workflows you’ll create can still be powerful and comprehensive. In fact, you may find that they generally go for simplicity and ease of use, which is rarely a bad thing. Once regarded as a fancier version of the webcasts, webinars are now seen as a valuable marketing tool due to their interaction with possible customers within a target group. Statistics show that product webinars conversion rate, from attendees to paying customers are so strong that companies often hire external specialists or influencers when they don’t have the capability to create them in-house. Users will find great additional value in the GetResponse webinar option, without having to leave the platform. Their version is quite good - a customizable webinar registration page, templates for invitations and reminders, the option to choose whether it’s an open webinar or not, analytics, follow up features and so on. GetResponse Landing Pages are an excellent addition to the email campaigns. If creating designs for Landing pages is not your forte, their collection of templates will come as a feast for the eyes. Opt-in pages, Sales pages, Download pages, Thank You pages – you name it and it’s probably there. Right now they offer quite a large collection, and the OCD part of me loves that they come in pairs - the Landing page and the Thank you page are visually consistent, which is incredibly cool. And finally, the forms and survey options, which can help you build any form you need to compliment your other efforts. If there is anything negative, I’d say that unlike one of their biggest competitors, MailChimp, they don’t offer a free plan, and their features are tightly related to the pricing plan you choose (for example, the basic option at $12/month has a limitation of only 1000 contacts, and doesn’t offer the webinars. That being said, I think they are more user-friendly and definitely worth the money. And yes, they come with a good 30-day free trial. Social media is a place to have fun, so clearly, fun images are required. If you’re anything like me, you’ve probably found yourself staring at a complicated graphic design tool (I’m looking at you, Photoshop), wishing desperately for a simpler interface that doesn’t come with 8 hours of video tutorial. I can go on and on - it’s quite a serious collection of designs. I must say, where I find Canva most useful is definitely when creating social media posts. These types of images require a great deal of creativity and a good eye for design, aside from the technical skills. It can be quite frustrating to adjust the size of the image so that it doesn’t get distorted, but here all images come with a proper size format and offer a wide choice of templates. The templates are pretty decent indeed - they try to provide creative visuals and always have a wide variety of holiday templates. One of the coolest features of Canva.com is their Magic resize option, which allows you to take a design and resize it in the specific size required by a given social media platform. So, if you have a Twitter post and you want to recreate it for Facebook, you can just duplicate it and the tool will resize it perfectly. You will also find options to add custom fonts, images, storage room and animation features. By selecting ‘More items’ from the menu on the left, you can discover even more capabilities. Canva.com have also integrated all major social media platforms and even Slack, so you can directly publish your images on them, and you can also pull out images directly from Facebook and Instagram accounts. Perhaps the only frustration is that you still have to pay for some images and graphics even if you have a paid account with them. Aside from that, Canva is one of the most useful instruments in my toolbox, and I think the value is amazing, considering the price of $12/month. If you are not planning your content production ahead, now could be the time to. 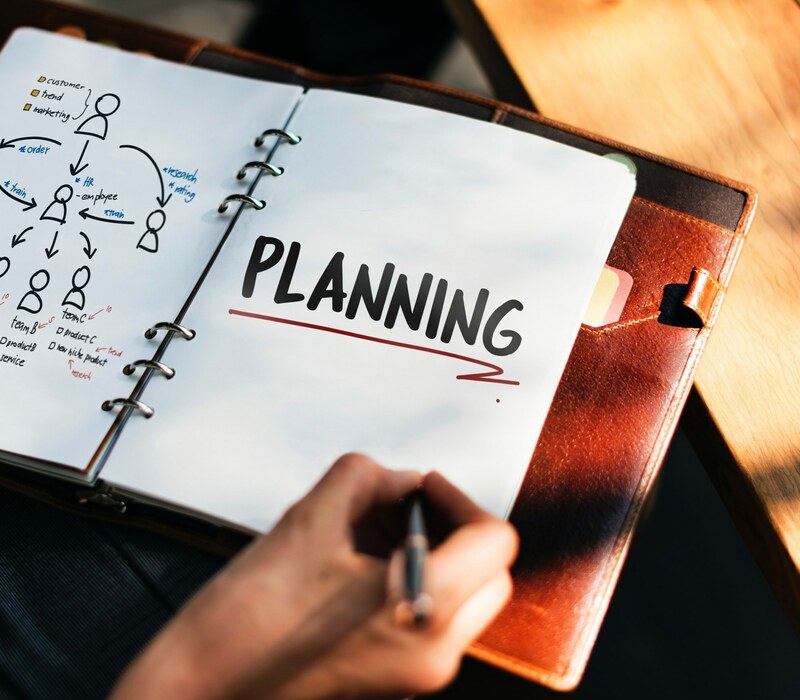 Often marketing managers in smaller companies and startups think that planning and organizing are only meant for corporate marketing departments. The truth is that you will likely spend twice as much time on the same tasks if you are omitting those processes from your workflow. Moreover, the quality of your content is also likely to suffer if you are always thinking about it at the last moment. It’s often challenging to pull off an amazing piece of content when you have no time for research, not to mention that you will lose the boost you may otherwise get from things like holidays, annual events etc. This is where our next tool CoSchedule can greatly help. Clearly, it’s most obvious feature is that you will have your marketing workflow organized and unified. Everything can go in there - social posts, newsletter, blog posts, campaigns etc. It has a task tracking, assignment distribution, and project deadline option, so no need for an additional project management system. I should start by saying that if you sign up now, you get offered a free onboarding call, which can be extremely useful, especially if you haven’t used this kind of product before. While CoSchedule used to be more of a content calendar, the tool has developed amazingly through the years and now it can be regarded as a complete solution for marketing automation. Since you can integrate with WordPress for example, you can schedule posts and automate publishing them including distribution in your social media channels. CoSchedule can even offer you the best time to share your posts. Their development team have thought of a way to level up the social media game - they invented a feature called Requeue that can reuse your best-performing posts to automatically fill in gaps where you have no content. The Analytics they offer are powerful, and easy to read since major visualization improvements have been implemented. Their media reports are very detailed and complete, something I found surprisingly to be lacking in some competitors. One cool feature you can use, even if you don’t have an account is their ‘Headline Analyzer’. If you’re looking to make some impactful, attention-grabbing content, then paying particular attention to your headlines is a must. It’s also worth mentioning that CoSchedule will integrate with some of the most widely used platforms on the web. Aside from WordPress, it integrates well with Analytics, Docs and Evernote, which can be quite useful. Amongst the social media that you can automate; Facebook, Twitter, LinkedIn, Pinterest, Instagram, Tumblr, etc. finally, they have a mobile app, for those of you who just can’t stop checking those stats on the way home. When it comes to the price, I have to say that their starting plan of $80/month can look quite pricey, but if you produce a lot of content and are looking for a platform to manage it all, I think this cost is justified. Of course, if you’re looking for a simple calendar or a more budget-friendly option for a social media management software you can always check products like ‘this free template’ or the ‘amazing guys at Buffer’, who offer a great social media tool. So, these were some of my favourite tools and I really hope one or all of them will help you achieve much better productivity in your marketing efforts! P.S: If you made it this far, you deserve a bonus, so there you go: this equally amazing mobile app for all the If-this-then-that things in your own life.